indows 8’s release started developing one highly flexible subsegment on the computer market. 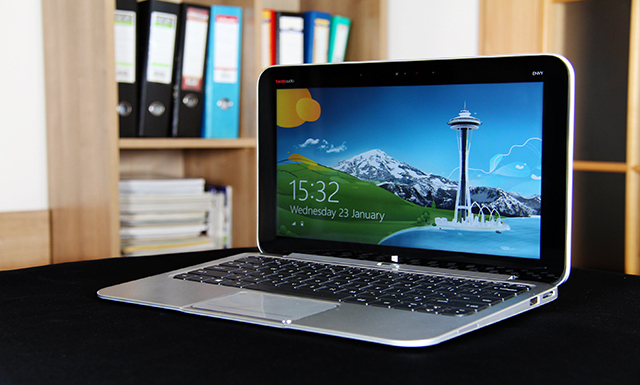 I am talking convertible notebooks that also function independently as tablets .. Undoubtedly this is going to be the computer mainstream of 2013. HP is a brand that definitely keeps up with the new trends. 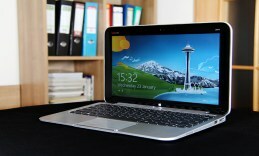 Digital Magnet present HP Envy X2. From the outside the machine really catches the eye with elegance coming from the curved edges and the nice silver brushed surface. The aluminum case itself makes the construction stand out with style and grace. The hybrid runs the full Windows 8 platform, not the RT version. It features the new generation Atom processor, more specifically a dual-core Atom Z2760 at 1.8GHz work frequency. The best part is that the performance here is boosted by the 64GB Solid State Drive on board. The system memory on the HP Envy x2 is 2GB. The 11.6 inch panel provides 1366×768 resolution and is a real pleasure as it features IPS technology. The sensors on the screen respond immediately to your touch commands. We experienced no lags or delays sliding through Windows 8 tiles and navigating through the maps application. The display is just bright enough to cope with outdoors work. The visuals are supported by Intel HD Graphics. The Beats audio technology on board delivers a high-end sound through the stereo speakers and a flawless quality sound on headphones. Listening to music and watching videos here can’t get any better. Your video communication experience is enhanced thanks to the front-facing True Vision webcam, it captures images and video in HD quality. The rear camera is an 8MP HD one, facilitated by an LED flash. Battery life performance here is boosted thanks to the docking station second battery unit. The whole construction can easily get you through a whole day of average work like surfing on WiFi and watching video contents online. The docking station holds an island-style keyboard and a nice textured touchpad. Some say they are already a bit old-fashioned to me but still a great way to command the machine especially when you need to get things done fast. Among the multiple connection options like Bluetooth, USB 2 and HDMI and a SD card slot this hybrid also features NFC technology which is so far a rather new and also very promising way to connect. This hybrid has works smoothly both independently as a tablet and as a notebook as well. It’s up tp you.. whatever you find more appealing and more comfortable to use.